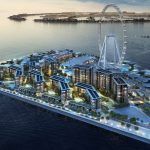 Without the help of a bet, Caesars Entertainment is ready to put the “Entertainment” part of its name to the test in Dubai with a beach club, two resorts, and a residential tower all slated to open within the next month on the city’s Meraas’ Bluewaters Island. It will be the operator’s first foray into the Middle East. Depending on your viewpoint, that timing could be perfect or horrible, following Friday’s WWE Crown Jewel controversial pay-per-view event that has stirred up strong sentiment on both sides of the fence when it comes to staging an event right after the news of how journalist Jamal Khashoggi was killed. According to a Washington Post report on Wednesday, Khashoggi was immediately strangled by government agents when he went into the Saudi Consulate in Istanbul, and his body — which has yet to be recovered — was subsequently dismembered. Resort openings, of course, are planned years in advance, and Caesars could not have known it would be opening in the middle of the maelstrom stirred up internationally by Khashoggi’s murder and the “no females allowed” WWE event tomorrow in Riyadh on November 2nd. Caesars club Cove Beach will open on November 9, according to the company. Then on November 15, the Caesars Palace Bluewaters Dubai will open along with The Residences, an 80-unit luxury apartment complex. Finally, in December, Caesars Resort Bluewaters Dubai will open as the fourth venue in the United Arab Emirates’ (UAE) city that is expecting to attract 20 million visitors per year by 2020. Just because Dubai is welcoming a gaming operator per se, that doesn’t mean the metropolis in the Muslim-majority city will allow gambling, which is forbidden by both UAE and Islamic law. The properties in Dubai will be Caesars’ first non-gaming venues as the company seeks to expand its brand. The company is also planning resorts in Mexico and South Korea. In April, Caesars and Meraas Holdings came to an agreement on the four-property deal: Meraas is developing the man-made island and will own the properties while Caesars manages them. Caesars Palace Bluewaters Dubai, a 194-room resort, will be more for the grown-ups. It will feature the Cove Beach beachclub as well as a spa, theatres, and fine dining. Caesars Resort Bluewaters Dubai, a 301-room resort will feature attractions tailored towards children as well as adults. CEO Mark Frissora told the Wall Street Journal that the company could make anywhere from $5-$10 million per licensing and management deal, without assuming the cost of owning the properties. The approach is a new one for the gaming operator that will have to turn a profit without the help of any gaming revenue. Caesars isn’t the only American brand having to change the way it does business in an attempt to expand its brand in the Middle East. The World Wrestling Entertainment’s second event in Saudi Arabia on Friday follows the company’s first — held in April — which didn’t feature any female performers, who are excluded from performing in that country. 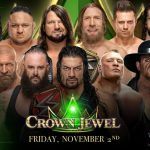 The Crown Jewel will also have its share of controversy as two of the company’s biggest starts — John Cena and Daniel Bryan — are not taking part in the event, reportedly in response to alleged Saudi involvement in the murder of journalist Jamal Khashoggi. Cena did not address why he wouldn’t be involved, but a report by Wrestling Observer details Bryan’s reasons. The report states that Bryan isn’t attending due to a mixture of how he feels about Khashoggi’s murder, the way Saudi Arabia treats homosexuals, and WWE’s exclusion of Sami Zayn — who is of Syrian descent — from last April’s show. Zayn was reportedly kept out of the show due to Saudi Arabia’s tense relations with Syria. Cena and Bryan backed out as the company faced immense backlash and pressure to drop out of Saudia Arabia after Khashoggi’s murder. Ultimately, WWE decided to move ahead regardless. “The goal is to make things better everywhere and I think us not going doesn’t help. Going helps,” the WWE’s Randy Orton told TMZ. Orton and his bosses might have other incentives to want to make it work in the country that has suddenly lost favor — as well as several business relationships — following Khashoggi’s murder. The WWE and Saudi Arabia agreed to a 10-year deal that could see the company pocket up to $50 million per event.